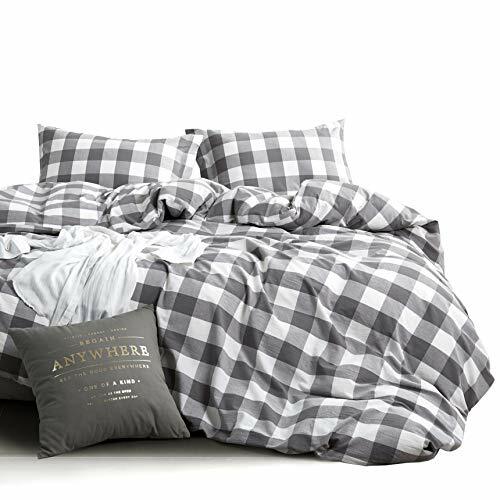 【Design】Buffalo check gingham plaid geometric checker pattern print in gray grey and white. Simple modern gift idea for teens, boys, girls, men or women. 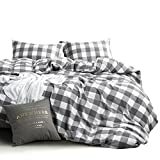 【Set】1 duvet cover 104x90 inches (king size), 2 pillow cases 20x36 inches. For extra pillow cases, please search B07GSQ3SRQ. 【Washed Cotton】100% washed cotton, soft, natural, breathable, durable, fast sweat absorption, hypoallergenic, fade-resistant and machine washable.